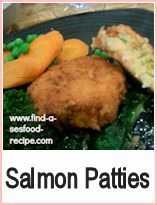 This recipe for salmon patties is so simple - you can use fresh or canned salmon and if you do extra mash on one day, you can use it up here. 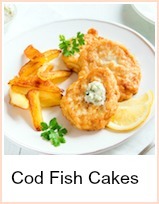 You can use fresh or canned salmon for this. Salmon is one of the fish that has the same properties of Omega oils whether fresh or tinned and is a simple way of getting the essential fatty acids. Dietary guidelines recommend one or two portions of oily fish a week to maintain a healthy heart. The essential fatty acids in oily fish is also beneficial for children - it is reputed to help with ADD. You only need a few ounces of salmon - it's a strong tasting fish and so goes a long way and it's good value for that reason. This recipe uses fresh salmon but you could equally use the leftovers from a baked salmon dish or a 7 to 8 oz can. 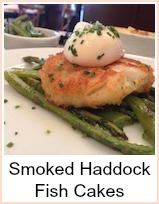 I frequently use smoked salmon offcuts to make patties as well. 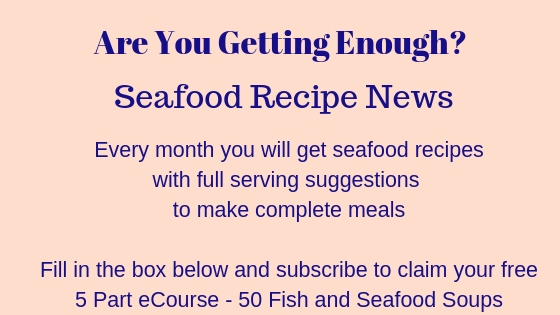 To find out how to poach a piece of salmon - go here - this method works for any size of salmon - whole or portion. Boil the chopped potatoes for 15 minutes or so until soft. Mash the potatoes until smooth with the butter - stir in the beaten eggs thorougly. Stir in the chopped herbs and mix through. Remove the skin and bones from the salmon and flake roughly. Mix into the potato mixture. Divide into 8 portions and shape into patty shapes and chill in the fridge for about 30 minutes. Dip each patty into milk then into the seasoned flour - make sure they are well covered with the flour mixture. Fry in hot oil for 2 minutes, turn and fry for 2 minutes - then repeat each side. This will give you a crispy outside and a flavored inside. 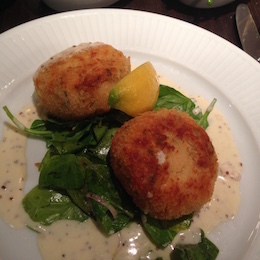 Serve with a mixed salad or bread and butter.